A traditional ranch with stunning views. 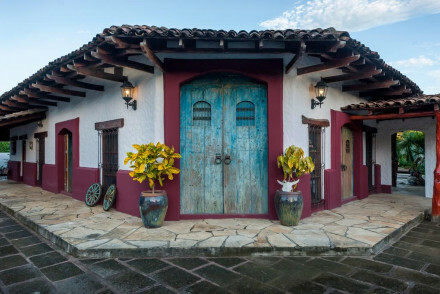 Rooms are traditional in style with cast iron beds, uneven walls and French doors leading onto the veranda. Spend days riding horses in the great outdoors or simply curl up with a book by the pool. Meals are served in a laid-back 'family style'. Rural bliss. Riding - Take a long trek through the picturesque countryside and along beaches before resting for snacks and rum. Country Escape - Spend days in the great outdoors riding horses through the picturesque countryside. Surfing - El Yankee beach is well known for its waves. 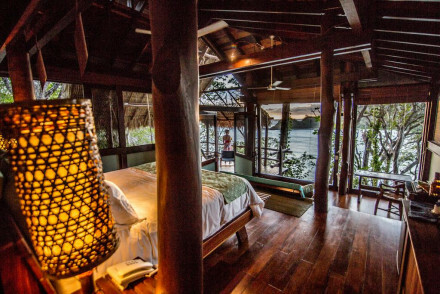 A boutique property tucked away amidst the rainforest. A collection of luxury tree houses provides a fun and comfortable stay plus the treetop vantage point allows for spectacular views. Find a host of water activities for day time fun whilst evenings are tranquil and romantic. Fabulous. Total relaxation - Set within the rainforest and next to a white sandy beach find utter tranquility and escapism. Sailing - Search for sea turtles, dolphins and whales on a relaxing boat trip. Surfing - The area is known as having the most consistent surf in the world. Morgan's Rock Ecologe is the personification of serenity. 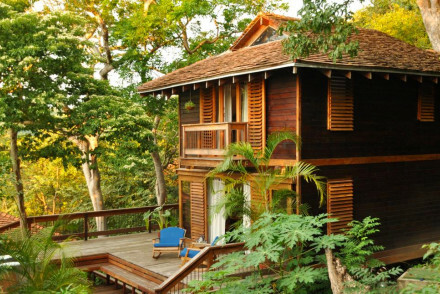 Hidden on the edge of the rainforest, it has everything you need for a relaxing, romantic break. Stunning cabanas, a private beach and an excellent restaurant specialising in local flavours. A haven of tranquility. Romantic Break - With its stunning location overlooking San Juan del Sur Bay and beautiful rooms, it's perfect for a relaxing romantic break. Beach Life - Just a short stroll from the hotel's own private beach.